A Czech-inspired beer with Pilsner malt flavor. Light, fresh and without aftertaste. 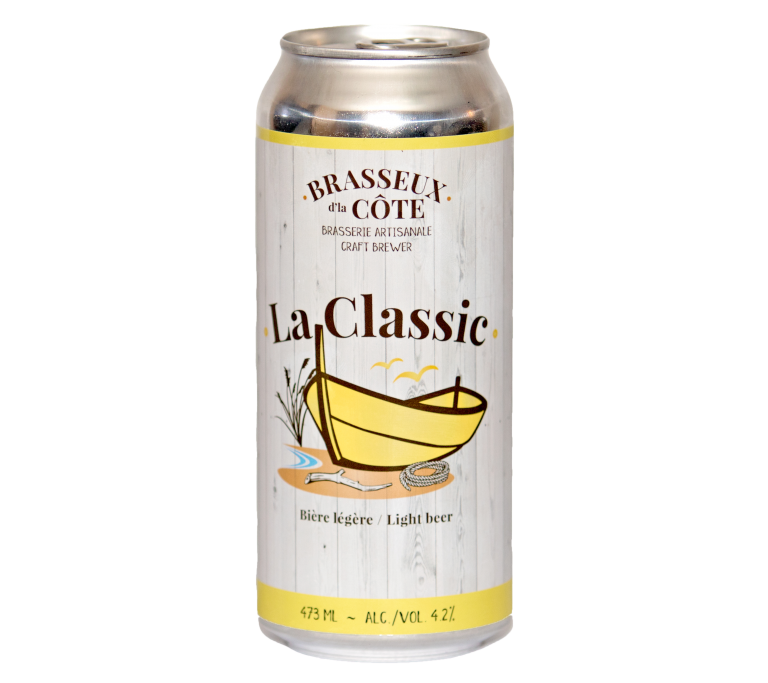 ‘‘La Classic’’ is a light and refreshing beer, perfect for post match get-togethers, boat rides and family gatherings. 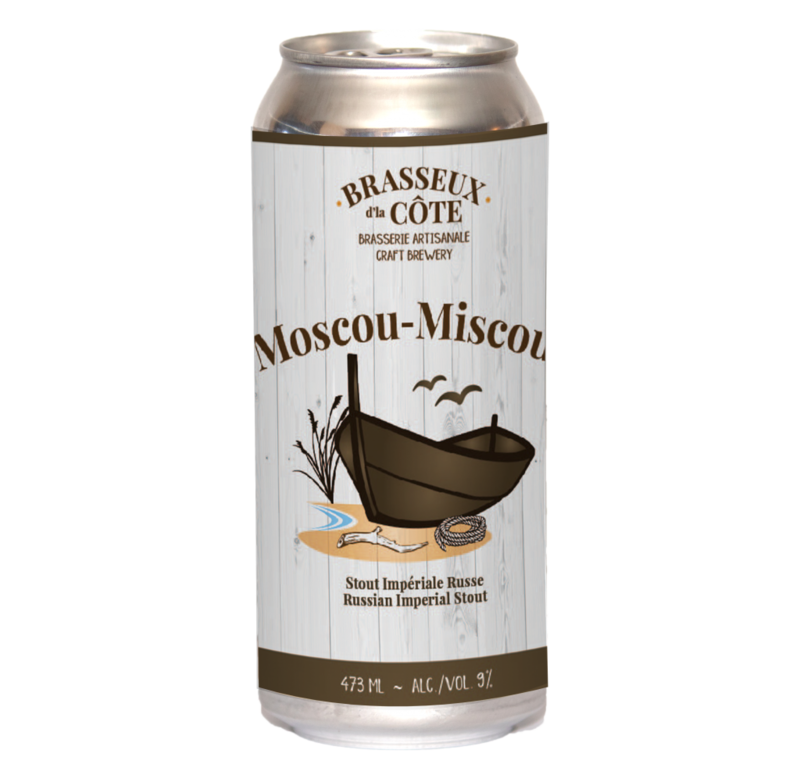 This beer can be enjoyed while relaxing or attending a party! A nut brown ale with a light hazelnut and caramel flavor with a slightly sweet and hoppy finish. 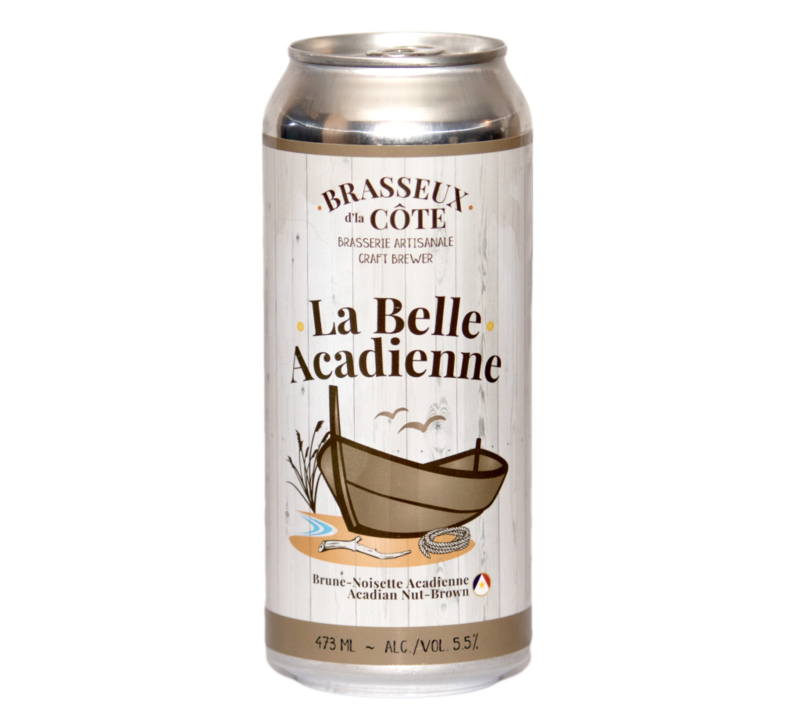 “La Belle Acadienne” is an original and one of a kind beer that stands out with a rich and distinct taste. It has a solid and strong character, just like the women who built our precious Acadia. 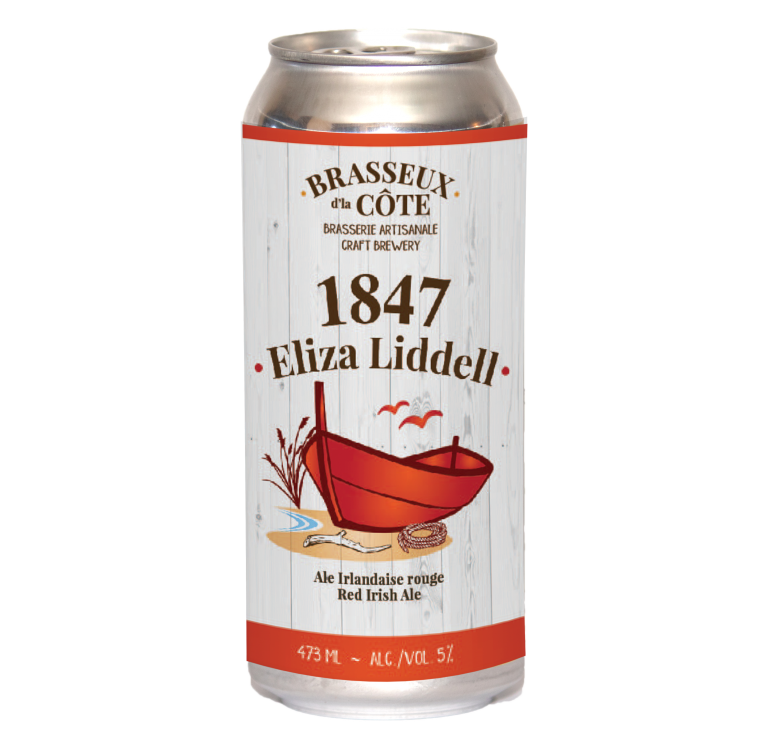 This beer honours those Acadian women who are the heart of our families and the survival of the Acadian nation. A blonde ale with a sweet malty taste and a slight bitterness. 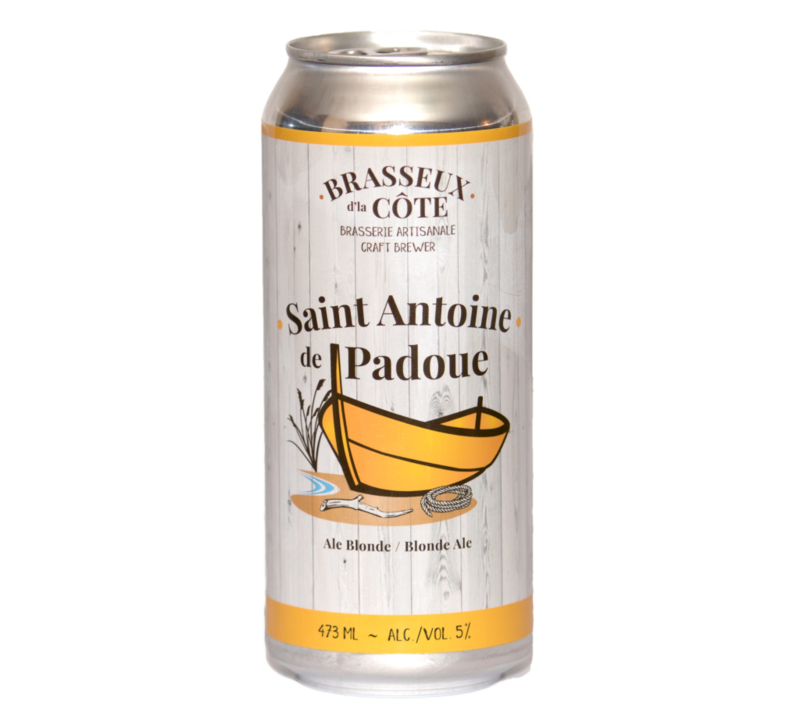 The “Saint Antoine de Padoue’’ is a beer filled with vivacity and overflowing with flavour. ‘‘Saint Anthony of Padua, thou who have your nose sticked everywhere, please help me find what I lost!’’. We can’t guaranty that you will find what you’ve lost after drinking a few of this one but at that point it will probably be the least of your worries! Red Irish Ale made of sweet malt with caramel notes and English hops that adds a floral and sweet touch. In the summer of 1847, Brigantine Eliza Liddell entered the port of Shippagan carrying Irish immigrants fleeing the Great Potato Famine. Many boats docked at our province’s ports of entry during those years. This beer pays tribute to the Irish who survived “blight time” and shaped both our part of the country and North America. Creamy and full-bodied, with a rich malt aroma and chocolate accents, complemented by a subtle coffee flavor and wild berry acidity. A beer that warms from the inside out. In memory of a story related to our shores. On April 28, 1939, a plane flown by Vladimir Kokkinaki, a renowned test pilot and aviator, attempted to make the first non-stop polar flight from Moscow to New York. Unfortunately, the aircraft was forced to land on Miscou Island, in northern New Brunswick. This flight went down in history as the first transatlantic crossing in a time of 22 hours 56 minutes. He was still lucky in his bad luck because instead of seeing the Statue of Liberty, he saw a terrific lighthouse and breathtaking beaches!